Rewind a couple years to when I tried a "make some every day" 365 blog...which ended up being maybe 65 posts total in the end. womp womp. Hip surgery came & went, and I found myself too far behind to make up for lost time. So, although it was a failed attempt in that regard, some pretty awesome makings still happened in the process. Like these panda cookies. I still love the ones that turned out with a little smirk! I'm still shocked that they worked the way they did! Below is pulled from the original post, with some additional process pictures incase anyone wants to give it a go! Wow! Can I just say how excited I am with how these turned out. 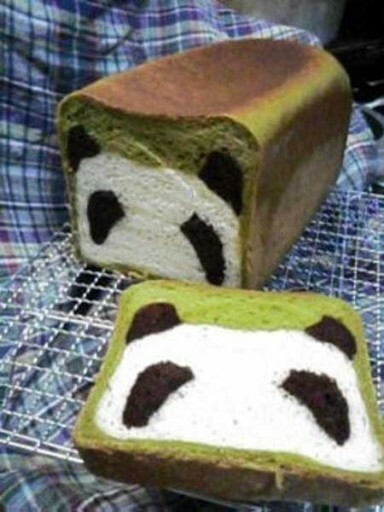 Since Sophie’s favorite animal is a Panda, I have had this panda bread inspiration saved on my computer for awhile now, so I was excited to make it my own. I can genuinely say I had NO plan, or idea of what I was doing going in to this; All I knew was that it had to look like a panda. I am not much of a baker, or a cooker of any sorts, so the whole process was a little make-shift. For starters, I knew me attempting first time bread making AND panda art in one, there was more chance for disaster, so I adapted it into my own homemade panda sugar cookie dough instead! With some determination, and a little bit of food coloring magic, my bag of Betty Crocker sugar cookie mix turned into these little guys!